Brother LB3834-002 Pocket Jet and Ruggedjet AC Adapter Kit NEW. Condition is New. Shipped with USPS Priority Mail. Save money, improve reliabilitythe perfect accessory. Powers a variety of models, reducing the need for separate power adapters. Works in conjunction with labeling system, enabling you to operate P-Touch® models on standard current and conserve battery life. Brother AD-24ES Black power adapter/inverter - AD24ESEU 2 pin with 3 pin adapter. Condition is Used. Dispatched with Royal Mail 2nd Class. PA-CD-600CG - 12V Car Adapter (Cigarette Socket). 12V Car Adapter (Cigarette Socket). Audio Visual. AC adapter included Yes. Power current type AC-to-DC. Product colour Black. we do not take any responsibilty after this. Brother Power Adaptor AD24ESUK. 3-pin mains adaptor suitable for use with PT-300/110 Labelling Machines. Mains Adaptor for PT1010 label machine. Product colour Black. we do not take any responsibilty after this. Ending Soon. we do not take any responsibilty after this. QUICK LINKS. Monitor & TV. Desktop PC. PC Components. you can buy in set of 6 max. Why Choose Us! Brother PA-AD-600EU, Indoor, 15 V, AC-to-DC, PJ-622, PJ-623, PJ-662, PJ-663., Black. Brother PA-AD-600EU. Product colour: Black. AC adapter included Yes. Power current type AC-to-DC. Product colour Black. Brother PocketJet 6 PJ-622, PJ-623, PJ-662, PJ-663. Input (input): 100-240V - 1.4 (A) 50-60 Hz, output (output): 15V - 4A. Brother RuggedJet RJ-3150, RJ-4030t. Plug: 5.5 mm outside, 2.2 mm inside. Condition: Good condition. OUTPUT: 6V----12VA. POWER ADAPTER USES A STANDARD C5 CLOVER LEAF POWER LEAD, NOT INCLUDED. MODEL: MODEL C. SUPPLIED WITH 3 MONTH WARRANTY. Brother PA-CD-600CG. Colour of product: Black. Brother PA-CD-600WR. Colour of product: Black, Red. Number of products included: 1 pc(s). Highlights Mains Adaptor for PT1010 label machine. AD-24ES DC adaptor, Black. 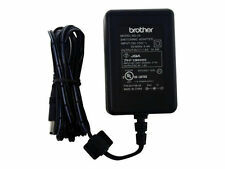 Brother AD-24ES power adapter/inverter Black. Output current 1.6 A. Print & Scan. Tradition for quality. What do I do if I have not received my order when expected?. 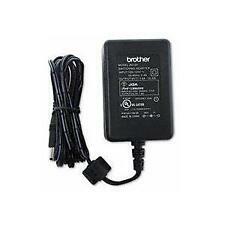 Brother PA-AD-600EU power adapter/inverter Indoor Black. Network & Comms. AC adapter included. Print & Scan. Comprehensive product line. They may be able to solve the problem straightaway, and if not will advise you further. Brother PACD600CG - CAR ADAPTER - CAR ADAPTER (CIGARETTE) for the Pocket jet and rugged jet. PA-CD-600CG - 12V Car Adapter (Cigarette Socket). Brother PA-CD-600CG power adapter/inverter Auto Black. Highlights 12V Car Adapter (Cigarette Socket). Brother PocketJet 6 PJ-622, PJ-623, PJ-662, PJ-663. Input (input): 100-240V - 1.4 A 50-60 Hz, the output (Output): 15V - 4A. Brother RuggedJet RJ-3150, RJ-4030. Plug: 5.5 mm outside, 2.2 mm inside.